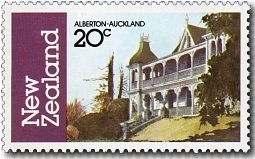 with a four stamp issue featuring two houses and two public buildings. Built in 1867 by Allan Taylor who came to New Zealand as a boy, having lived in India and Scotland. Essentially, 'Alberton' was a farmhouse, with a timber frame and gabled building of 11 rooms with a verandah and open balcony. Additions were made in the late 1860s and again in 1890, giving 'Alberton' much of its character and uniqueness. Today, 'Alberton' retains its Victorian furnishings without much change. It shows clearly how a 19th century land-owning family lived. 25c - Caccia Birch, Palmerston North. 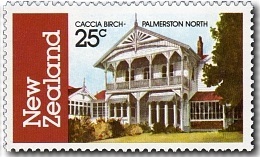 Located by the Hokowhitu Lagoon, 'Caccia Birch' began as a modest dwelling in 1893 and was added to throughout the years. From 1921, the property was owned by the Caccia Birch family who gave it to the Government in 1937. It was used for various purposes and for a period served as a convalescent home until made available to Massey University. 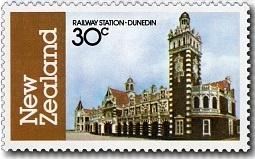 30c - Dunedin Railway Station. Built in 1904 at a cost of $239,000, it is regarded as the city's grandest public building. The station has a most unusual ticket office with white tiled walls, ceramic panels and a mosaic floor depicting Victorian railway engines. See our thematic collections - Dunedin Railway Station. 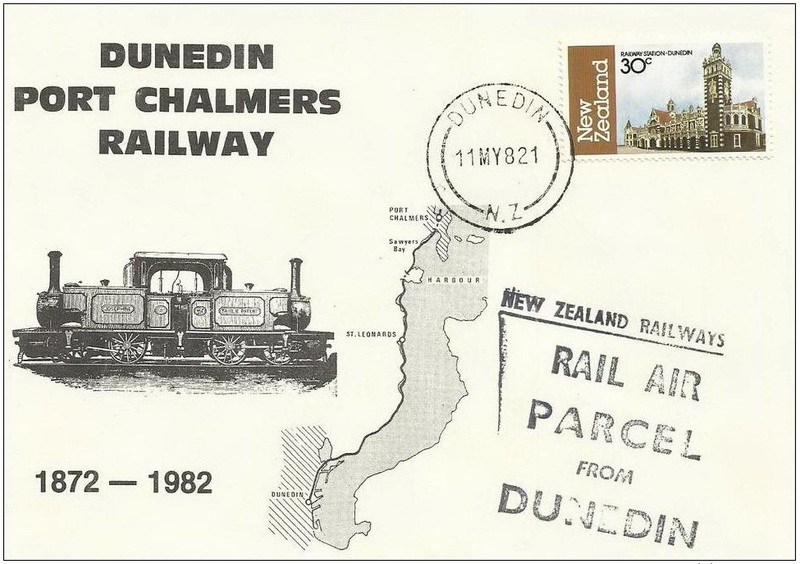 Trains & Railways of New Zealand. 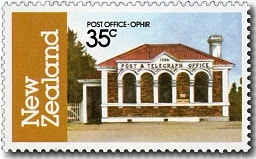 35c - Ophir Post Office, Central Otago. Built in 1886, is of considerable historical and architectural interest to Central Otago. The interior retains the atmosphere of the early days and still has a postal box of the Victorian period. The post office is now under the control of the Historic Places Trust. A nice crisp mint First Day Cover. 1982 Architecture 30c Dunedin Railway Station.